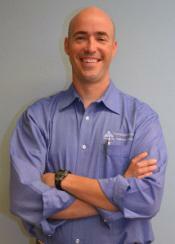 Dr. Cary G. Malone, PT DPT started TheraSpecialists Physical Therapy Center in 2004 with his wife Elaine. The goal was to create a state of the art rehabilitation facility. The mission of our company is to help people restore function in a compassionate, professional setting. Dr. Malone is a native East Texan who grew up in Kilgore, Texas, studied at Stephen F. Austin State University, and completed a master's and doctorate in physical therapy at Washington University in St. Louis. He did research in the treatment and detection of cancer at MD Anderson and Baylor College of Medicine. He married his best friend Elaine who holds degrees in psychology and nursing. Dr. Matt Lambeth, PT DPT CSCS earned a degree in exercise science from Lamar University where he was center fielder for the university's baseball team. 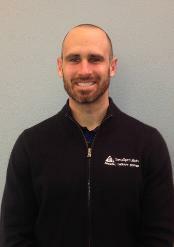 Dr. Lambeth is a certified strength and conditioning specialist. His doctorate degree is from Missouri State University. Dr.Lambeth joined TheraSpecialists in June 2011 and resides in nearby Warren with his wife Jessica and daughters Lanie and Piper. 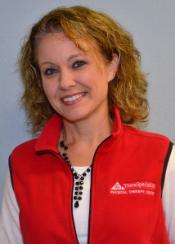 Mrs. Liz Carter, PT received her bachelors of science from Northwestern State University of Louisiana and her bachelors of physical therapy from Louisiana State University School of Allied Health. She works in orthopedics, manual therapy, neurology, and aquatic exercise. She and her husband Chris have four children and enjoy their children's sporting events, family time, reading, cooking, and traveling. Ms. Kelsey Wilson, PTA received her Bachelor’s of Science from Texas A&M in College Station and her Physical Therapy Assistant License from Blinn College in College Station. She resides in Jasper and enjoys going to the beach and being outdoors with family and friends. Kelsey is a big Aggies football fan and loves anything Aggie!